Why Should I Use Powder Coating? Powder coating metallic objects is becoming an increasingly popular choice among motorists. 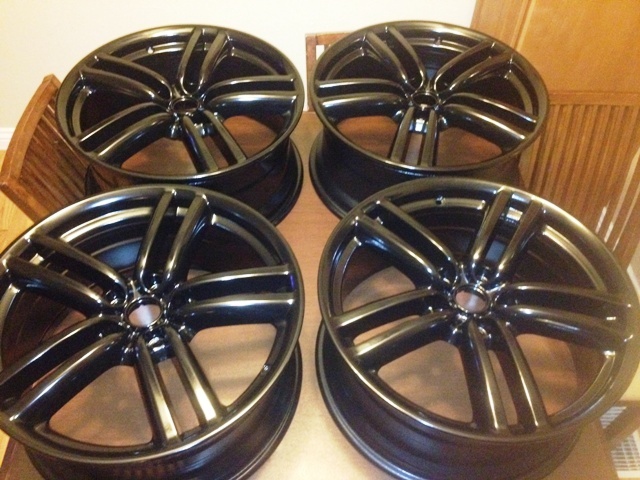 While many people are still new to this method of treating your car’s wheels, for example, powder coating has been around for a while and it certainly shouldn’t be classified as a fad. 1. The Look. Your car is an extension of yourself. You want to project to the world a positive, memorable image of you. Powder coating your wheels adds pizzazz to your car and it will certainly cause more than a few heads to turn your way. You will be hard pressed to find someone who won’t like the improved look of your car with powder coating. 2. Versatility. Because the technology of applying powder coating is better than ever before, more options are available to you the consumer as to how to use it on your ride. 3. Rust and Corrosion Prevention. Powder coating is a process that will provide a rich, hard finish on the substance that it is applied. Not only is it going to last for many years because it’s extremely tough, but it won’t easily peel or scratch off either. Since powder coating is much thicker than liquid paint, it will prevent excessive amounts of corrosion and rust over the long haul – one more reason why it is a good investment for your car. 4. Environmentally Friendly. We talked at length in June in this blog about the environmental benefits of using powder coating over conventional paint. Because of its importance, it bears repeating again that paint can pollute our ecosystem, powder coating doesn’t. 5. Affordability. Pricing is better than ever before. When you factor in that you’re minimizing the need to replace parts treated with powder coating on your car because they won’t be rusting out, it becomes an ever better looking deal. There are other great reasons to use powder coating. Give one of our representatives a call or better yet stop on by and let us show you what powder coating can do for your car.